Okay Christmas is over. I just have not had time to sit and look through different posts of quilting/sewing ideas. 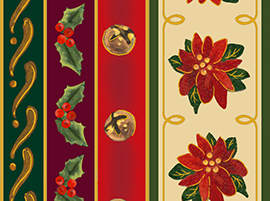 I came across two videos of easy to do Christmas table runners. Something you could make now with all your Christmas fabric still out and put away for a gift or decoration for next Christmas season. Go to: http://www.youtube.com/watch?v=Gp6eVzKF34w. Easy, easy, easy to do. Can be done with layer cakes or Christmas scrap fabric. Both easy to do. Both beautiful. Want a good resource to find quilt patterns. 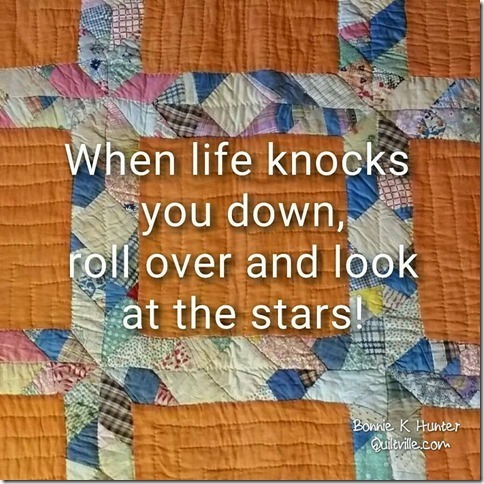 Through QuiltingBoard.com, I found a blog site that has taken the time to list out a lot of sites you can find free patterns at. Then to top it off, she broke down the sites into categories. It is a great place to visit to see what is out there. 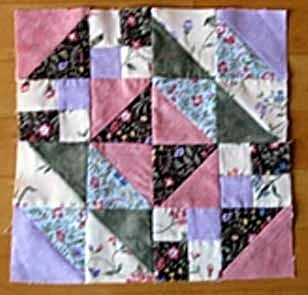 Check it out at http://www.with-heart-and-hands.com/2007/10/free-quilting-patterns.html. It is worth looking through it. The holidays are over. Soon it will be time to clean up the Christmas tree and all the trimmings. I hate to see them go since we got them up so late. Sunday is New Year's day. What a wonderful time to look back and see what was accomplished this past year and plan for our upcoming year. 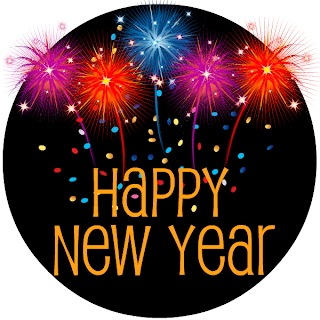 How exciting that we get one day every year to sort of clean the slate and go forward. My goal is to go through all those kits, panels and fabric I have purchased and actually set down a plan for what I will work on next. I have so much. I could stay busy for an awful long time and still have more to do. One of my goals should be to stay away from quilt stores and quilt shows. I just cannot resist purchasing when I am there. One UFO that must be worked on is my Wildflower Rhapsody BOM quilt. I love it and really want to make sure it is finished before 2012 is gone. Apologies are at hand. I went to the post office yesterday to retrieve my mail. In my PO Box was a note to pick up excessive mail. Upon getting to the clerk, which took 20 minutes, they handed me a box with all the envelopes with the BOM block in it that was mailed out last Saturday. Sheesh! My mailer posted too little postage on each and every envelope. It was totally my fault. I purchased new envelopes. They were a smidgeon over the limit for the price that charged for it. So this morning, I added more postage to them all. They will go back to the post office today to be mailed out. My total apologies to each of you for being so late. We just returned from southern California. It was our grandson's 13th birthday. What a fun day we had. Now he went to school that morning, so I had to find myself something to do during the day because Gil went golfing with our sons. The quilt shop in Simi Valley, where we were staying, closed earlier this year. Boo Hoo. I grieve for any store that does not make it. We all try so hard to keep it going, but quilting is something people can give up to save money. It really effects the local quilt store (LQS). I have stated before here, go see your LQS every month and purchase at least $10 of product or take a class every month. Help them keep open! They had all their Christmas fabric on sale for 40% off. I found a stack of cut fabrics that were adorable and flannel to boot. I had to get that for my daughter, Elisa. She was taking care of our dog, Mochi. I also found some beautiful fabric and charm packs that I had to have. Plus I found a cool tool that I purchased for my Secret Pal with Rivercity Guild in Sacramento. What a joy it was to be there. Of course I spent way too much. It will go to a good cause - me quilting and staying sane. This is a charm pack of Moda's American Banner Rose. I only purchased two charm packs because I so loved the design. I wanted to remember the name so I can purchase more later and come up with a quilt later. 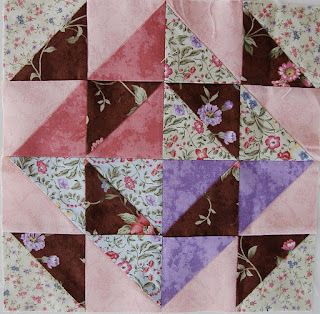 I love Charm Packs, as they are so easy to work with and start an easy quilt. No pattern necessary if you just want to sash and sew together. Easy peasy. The second 2 Charm Packs that I purchased is from Moda's Panier de Fleurs by French General. This is stunning, also. 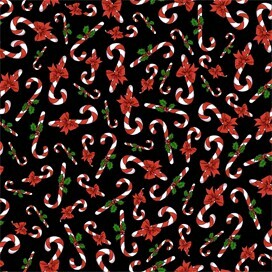 With these two packs, I purchase one yard of the design below and a half yard of the red. I might need to find the line else where, but at least I have a start. If you ever plan on purchasing like I do, remember to start the quilt right away. If it becomes part of your stash and you get back to it two years later, you might have trouble finding coordinating fabrics. 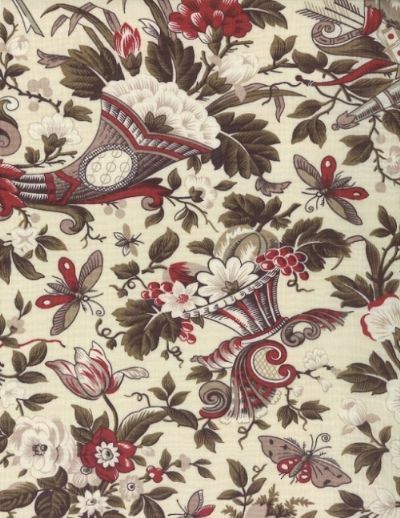 Purchased 1 yard of this fabric. It is sooo beautiful. The picture is nice, but the fabric is a lot more stunning. 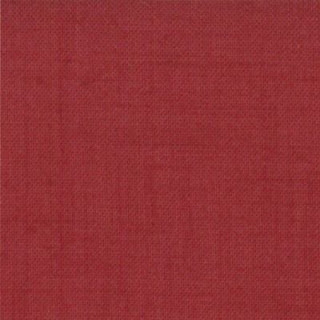 This is the red fabric I purchase only a half of a yard of. I know I am going to be sorry I did not spend the little extra to purchase at least a full yard. There are only three more blocks to be mailed out. You will receive one in January, February and March and then it is up to you to finish the quilt up. I hope you are enjoying doing this fantastic quilt. 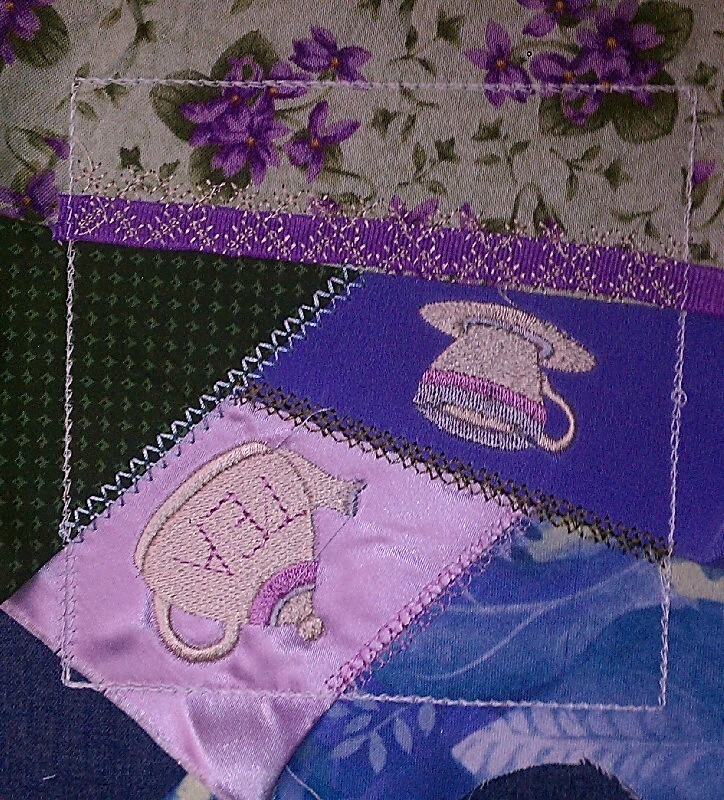 Send me a picture of your completed block before January 1, 2012 and you can be entered into the drawing for a wall quilt hanger. This is your November block #8. We have to apologize. It is late going out. Some were mailed this afternoon. The rest should be mailed Monday or Tuesday. They are coming! Here are some relief aids I have never heard of. Some I probably would not do - especially the Gatorade one since I cannot stand the taste of Gatorade. The others are pretty interesting. Know that I have not tried any of these. I just thought they were worth reading. Take them for what they are worth. Cure urinary tract infections with Alka-Seltzer. 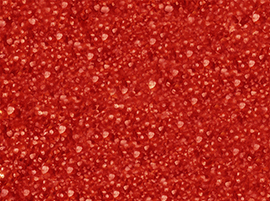 Just dissolve two tablets in a glass of water and drink it at the onset of the symptoms. Alka-Seltzer begins eliminating urinary tract infections almost instantly-even though the product was never advertised for this use. Listerine therapy for toenail fungus: Get rid of unsightly toenail fungus by soaking your toes in Listerine Mouthwash. The powerful antiseptic leaves your toenails looking healthy again. Cleaning liquid that doubles as bug killer... if menacing bees, wasps, hornets, or yellow jackets get in your home and you can't find the insecticide, try a spray of Formula 409. Insects drop to the ground instantly. Balm for broken blisters... to disinfect a broken blister, dab on a few drops of Listerine, a powerful antiseptic. Quaker Oats for fast pain relief... it's not for breakfast any more! Mix 2 cups of Quaker Oats and 1 cup of water in a bowl and warm in the microwave for 1 minute, cool slightly, and apply the mixture to your hands for soothing relief from arthritis pain. Now you can Keep on Quilting! Yes. I am special. I am a preferred member at Joann's. Do I purchase fabric there? No, I do not. I prefer to honor my local quilt shop (LQS) first with my dollars. Having owned my own bricks and mortar quilt shop, I know how difficult it is to keep it well stocked if people do not buy the fabric there. Since the prices are close enough (except for sales), why not give our small business owners the money instead? Now that said, Joann's carries a lot of things you cannot get at our LQS. So I do shop there occasionally. My dear daughter let me know you can apply for a preferred member card, which gives you 10% off your purchase every time you get something there. Good deal. I received my first one over a year ago. Last month I went in and tried to use it, but it had expired. So I had to re-apply. Today I received an e-mail with a coupon for 20% off my entire purchase, including sale items. Too good to be true. I love their Halloween decorations, so perfect timing. Yeah! 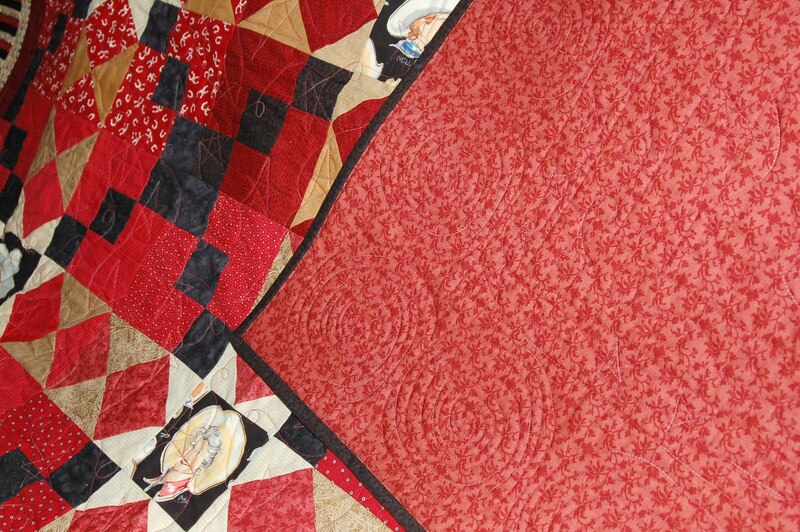 Have you ever wanted to see those Amish quilts up close and personal. In June you will have a chance. If you live near Ohion or want to plan a super trip to see quilts, plan to attend this quilt show. We are very excited to announce the dates for the 11th Annual Amish Country Quilt Show, June 7-9th, 2012 at the Buckeye Expo Center in Dalton OH. Keep an eye out for additional information about the Amish Country Quilt Show, or you can also go to the web site at http://www.amishcountryquiltshow.com/. Trained Sewing Instructor 3-Day Program. I have never been, but I have been looking for somewhere that would be fun, different and away from the west coast. Perhaps this is it. 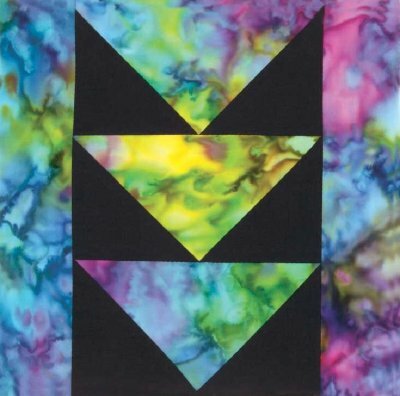 Consider designs and patterns for the quilting for your quilt. The more planning you do, the happier you will be with the finished project. Decide on threads and batting. Discuss these with the quilter. Clearly communicate any ideas or thoughts you have with the quilter. Get a business card/phone number from the quilter. Get an estimated time the quilt will be ready for pick up. Know you are not their only customer, so do not expect it to be done within a few days. Do you hate math? You betcha! Here is a website that will figure the amount of backing material needed for any size quilt, and then tell you how to put it together to work. Yeah. I love it! It will also tell you how much binding fabric you will need for that size quilt. Just go to http://www.mywebquilter.com/index.aspx to let them figure it out. FREE! Well autumn is here and quilting is in the air. We received another block for September. This is Betty W's block. Good job, Betty. Here are two more blocks of Wildflower Rhapsody BOM from September. Above block is Teri Beeman's block. And this is Renea A's block. Keep sending them in. I am sure all of you who are participating in Beehive Quilt's Wildflower Rhapsody what a chance at receiving this incentive. The package contains 1/8 yard of fabric cut in fat style. Each of the fabrics used in these main blocks are represented here. 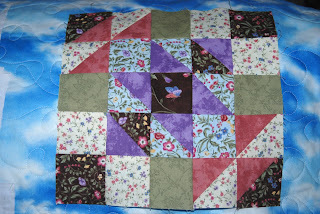 Here are two beautiful September 2011 blocks turned in to be eligible for the incentive prize for September. This is Gloria D's beautiful block. And this is Sue Ds' block. These ladies are eligible for the September Wildflower Rhapsody BOM incentive drawing. It is a packet of all the fabric used in the main blocks. Each cut if a fat eighth. If they do not need the fabric as time goes on, they can defintely use it to make a coordinating pillow or small table topper to go with the quilt. If you are involved with this BOM through http://www.beehivequilts.com/, send us a picture of your block before the end of September 30th and you will be eligible, too. here at the store that say "I survived Susie's sale 9/5/11". Come on by and pick one up. Our final day that we will be open is Wednesday, September 28th 9:30-5:30. We need the next two days to clean up and clear out of here. There is still a good amount of fabric available, books and patterns. Everything is 50% off, and Paul says he has NO ROOM in his GARAGE, so I would like for everything to go. I will miss you all and will send an email out as soon as I get the long arm set up at the house and start quilting and whatevery else God has in store for me. Again, thank you all for the pleasure of serving you and getting to know you. I also so appreciate all of you that let me see your finished projects. That has been such a joy. To Susie, I do not know more than what you have written above, but I know you will find that now you will have time to work on the projects you have not been able to tackle while you had the store. I wish you well. Elisa, Lorena and I went last year. It was lots of fun and beautiful quilts. Plan to make a day of it. It is out in the city park and the drive to get there is a nice one. Have fun. 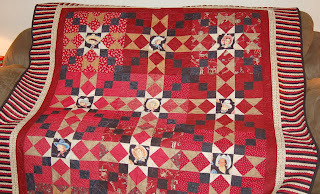 Beehive Quilts will be placing a quilt for sale at a greatly reduced price on a regular basis. Yipee Yi Little Cowgirl quilt was listed today. It is a one of a kind quilt and once it is purchased, a new quilt be posted. Keep checking back to see what new quilt is listed. 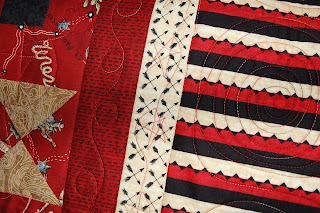 To see more on the current quilt, go to http://www.beehivequilts.com/. Yesterday, Elisa, Lorena and I, went to the Elk Grove Quilt Guild show. It was a great show to attend. Beautiful quilts. Terrific vendors. Such fun. Below are some of the quilts we saw there. Like I said, Lorena went with us. She is just ready to turn 17 years old. Her mom took up quilting a few years ago when our shop was open. Where she loves fabric and quilting, she is not totally enthused with going to quilt shows. She loves to go with us, though, because we always go out to lunch afterwards. So as I tried to take pictures of some of the beautiful quilts, she was jumping in front of the camera just as I was ready to take the picture. I have many of them with her there, but I liked this one best. When we had our shop open, Diane Steele did a Block of the Month of us. She designed it as she went along. We offered twelve blocks for free if you came in to pick up the block on the designated day. We also offered another block most months for an additional fee, for a total of 20 blocks. One of our customers, Karen Lewis, entered the following quilt made from that block of the month. I love her finished quilt. 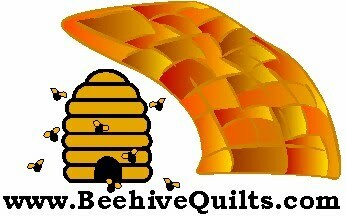 Thank you, Karen, for mentioning Beehive Quilts. Even though the store is no longer there, we still exist on the internet. I LOVE this pattern with the embroidery. Someday I am going to purchase the pattern and make this quilt myself. I seldom take pictures of the vendors quilts on display, but this one I just love. I should have bought it. After all, we are BEEHIVE QUILTS. Love going to quilt shows. I am so glad the "season" for quilt shows is starting back up. Can't wait for the next one. With quilt shows starting back up after a summer lull, pictures are occasionally requested to be submitted with application to the guild(s). Go to http://www.quiltviews.com/how-to-photograph-a-quilt-video to see a good video presented by AQS on how to best photograph your quilts. Use these ideas to get the best picture possible to post your quilt on e-Bay, etsy or any other place you might be trying to sell your quilts. Pictures, good pictures, help sell your quilts. People do not always read what you type, but they always look at the pictures. Do not forget to take a picture of the back of your quilt, too. Potential buyers will want to see the fabric used on the backing as well as the front. 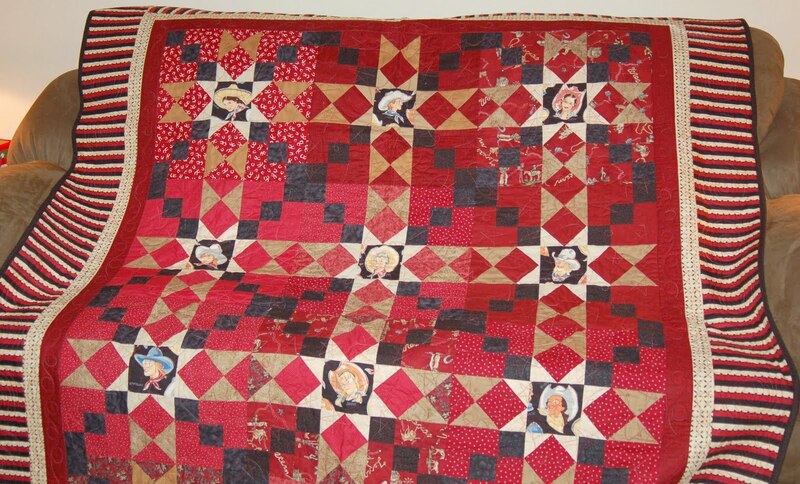 We occasionally list quilts and other items on e-Bay and etsy. If you need assistance in this process, contact me at contact@beehivequilts.com. I can give you other hints. I guess everyone is or has been on vacation. I had not received many pictures of finished block, but they are starting to come in now. Below are Renea A and Gloria D's blocks. If you have finished your block, send me a picture before midnight on Wednesday this week. Just need to have it before the drawing is held on the 1st of September. 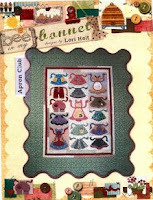 Remember the incentive award is a pattern to make Lori Holt's applique pattern Quilter's World. 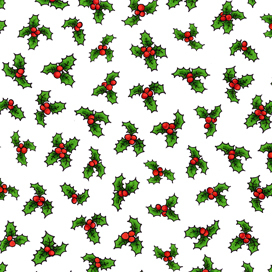 A fun and unique pattern. We sell it for $22 on our website. If you belong to Beehive Quilt's Wildflower Rhapsody BOM, you can participate - just send us a picture of your August completed block. Good job, ladies. By the way Gloria lives in New England area and has had problems with electricity. I hope she is well and her house is in no danger of the flooding. The same to all you the area that has been affected by Irene. Renea A block. She added a couple of applique to her block. 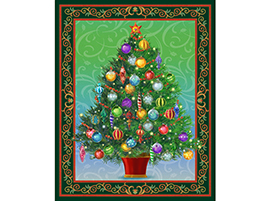 The following information was on Blank Quilting e-mail. 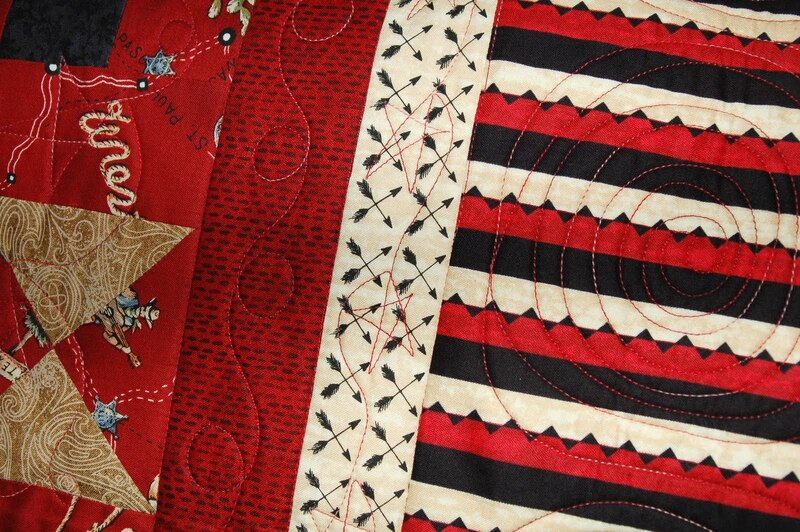 To see all that Blank Quilting has to offer, go to http://www.blankquilting.com/. I love their website because they have a lot of free patterns you can download. When making quilt for a bed we often forget to consider the size of the bed, resulting in a quilt that is too short or hangs down to the floor. 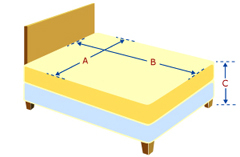 For coverlets: measure from the top of the mattress to slightly past the bottom of the bed rail. If you want the quilt to cover your pillows, measure the mattress length, then add one drop length plus 10" to 20". 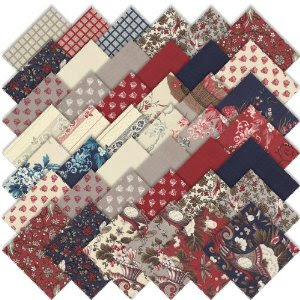 Beehive Quilts is offering a beautiful Block of the Month (BOM) starting in January 2012. This BOM offers several pieced blocks and appliquéd vine to really give it a garden look. The fabrics used will come from a collection by Lydia Quigley of the Rabbit Factory and sold by Clothworks Textiles. You can see that collection at http://www.clothworkstextiles.com/collection.asp?ID=302. As we have done in the past we are trying to keep the costs down for you, the quilter. This beautiful quilt will be just $18.95 per month, pattern included. The normal cost for the pattern is $18. To sign up for this BOM, just go to Beehive Quilts and pay $25 for the signup fee, which locks you into being part of this beautiful BOM. This is a non-refundable fee. Then on January 1st (or 2nd), you will be charged the $12 for the pattern and $18.95 for the first block for a total of $30.95. On the first of each month you will be charged only $18.95 for that month’s block. All blocks will be mailed no later than the 10th of each month. It is a 12 month program and the last block will be sent in December 2012. 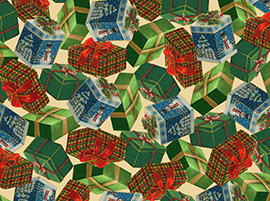 We offer a chance with our BOM participants to win a gift each month. This will be offered with this quilt as well. Sign up now to be part of this fun BOM program. Beehive Quilts is proud to announce that two new BOM programs will be starting January 2012. 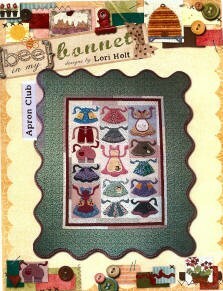 One is Lori Holt's design called Apron Club. 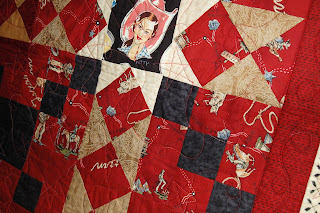 It will be a quilt done in 1930s reproduction fabrics with a white background fabric. The other BOM called A Quilter's Garden from the Rabbit Factory and fabric from Clothworks. Watch our website for the ability to sign up for these BOMs. The sign up will be posted there soon. Love to have flying geese in your quilts but hate to make flying geese? Watch this tutorial by Ricky Tims. You will never be hesitant to make those geese again. Here is a link to several other ways to make the flying geese pattern. I usually do the second one. They each have their own advantages. Try each one and see which one works best for you. Congratulations goes out to Rene A. She is the winner of the July BOM incentive. She will receive a kit for a Doggie wall hanging. 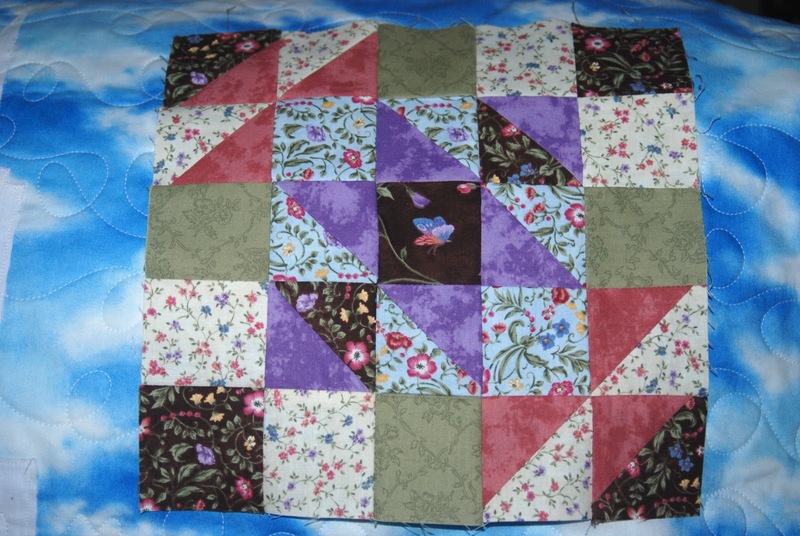 August's incentive is a copy of Lori Holt's quilt pattern called Quilter's World. This pattern is an applique pattern. 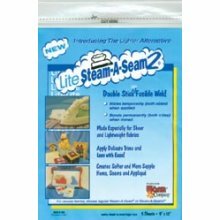 To go along with the pattern, the winner will also receive a package of Lite Steam-A-Seam to assist in the applique process if they want to do the iron on and stitch on the edge applique. To be part of this incentive drawing, all you have to do is be a member of Beehive Quilts Wildflower Rhapsody BOM and send a copy of your finished August block to me before the end of the month. The drawing is always held on the 1st of the next month. Incentive for the August BOM.